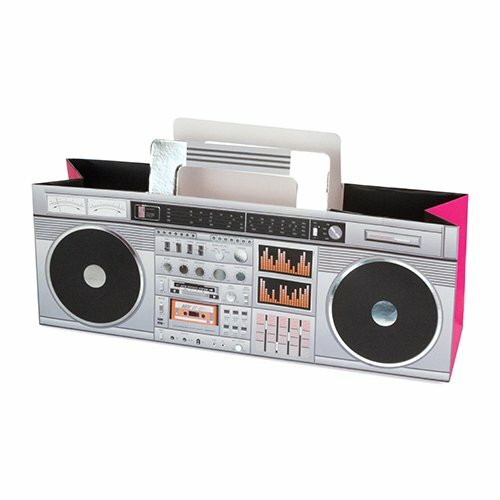 This is an original and rare JVC machine from the 1980s with detachable speakers and a built-in record deck, which meant you could use it like a hi-fi system at home. I'm not sure about just how practical the turntable was, though, and surely it wouldn't have been much use while on the move. 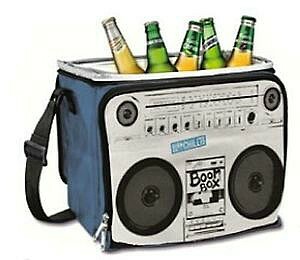 I would still love to have owned one of these, though! More popular were the twin tape deck machines which allowed you to record from a commercial cassette to a blank one. 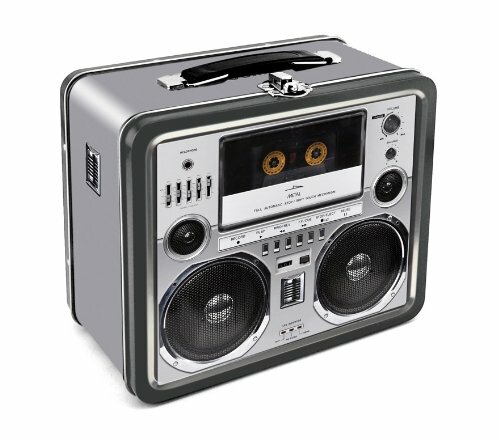 You could also enjoy simultaneous and continuous playback of two cassettes on many models, and tape your favourite songs off the radio, of course. 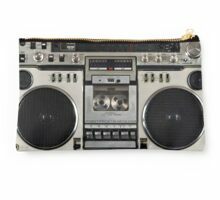 The more expensive ghetto blasters were sturdy beasts with metal buttons and built-in graphic equalizers. Okay, so it's about time that I mentioned the bags which, I know, you've been itching to read about - after all, that is the title of this post! 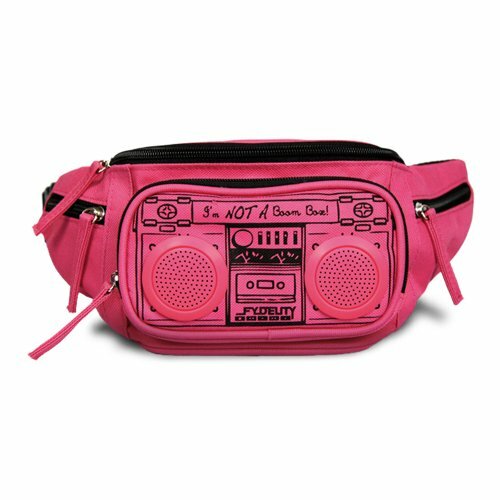 If you're looking for something that's quirky then this first bag certainly fits the bill. 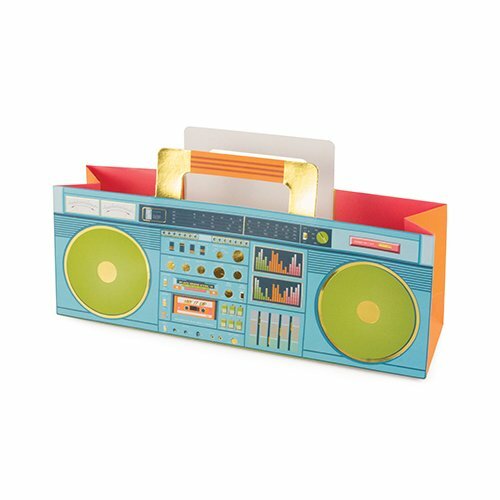 It's bursting with retro coolness and has a clean, simple design. 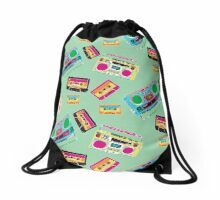 One of the most exciting and quirky collections of bags can be found at Redbubble.com who ship worldwide. I've added a small example of what's available. This shoulder bag has realistic 3D print, and it's certainly eye-catching! 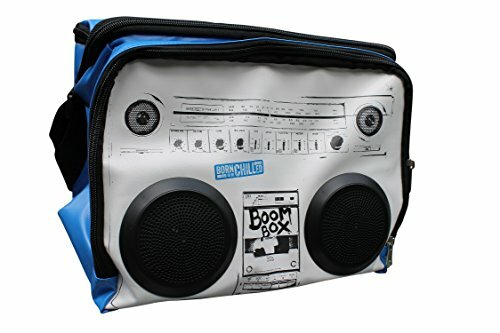 A very similar design is also available at Amazon.com in the U.S. 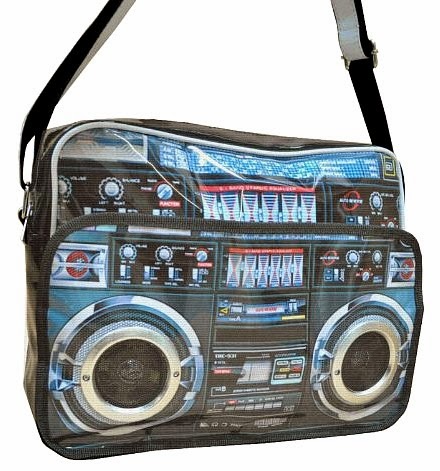 If you're an 80s hip hop fan then this retro Run DMC bag may be your thing. 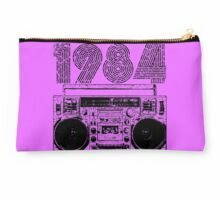 It's ideal for keeping your cassette collection in! This item is also available at Amazon.co.uk. Around 80% of products sold on ebay are actually brand new items, and this is a great site to use for finding the very best prices, as many top-rated suppliers sell their wares here. 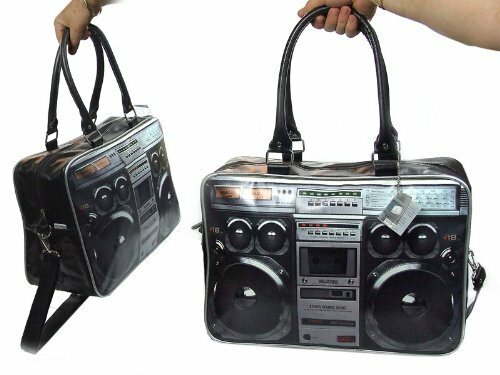 I have linked to the search term for the bag above, rather than a specific item, as listings from sellers tend to disappear after a few weeks. I hope you have enjoyed reading this post. 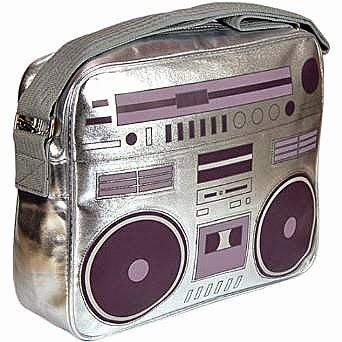 Whether you want to breakdance around it or simply keep your sandwiches in it, a ghetto blaster bag going to be a real talking point. 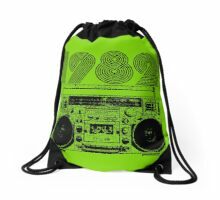 And can you imagine the look on the faces of your friends or work colleagues when they feast their eyes on your uber cool bag - they'll all want one! 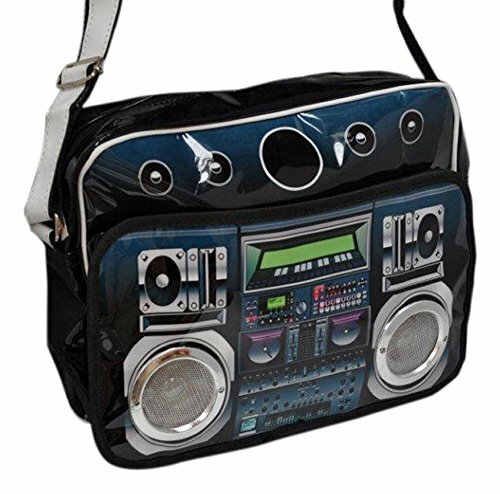 You can see many more retro bags with an 80s theme at my website SimplyEighties.com.